Product-Jiaxing Jingrui Instrument & Equipment Co., Ltd.
Hand crimp tool is applied to the fields of new-energy vehicle,aerospace, aviation and so on,which achieves the cold crimping of wire and contact in electronic connector.Main cold crimping ways include four-indent eight-impression,circular crimp,hexagonal crimp,annular crimp etc.High precision hand crimp tool,easy to operate,convenient to carry,durable to use,can ensure the crimping reliability of products. 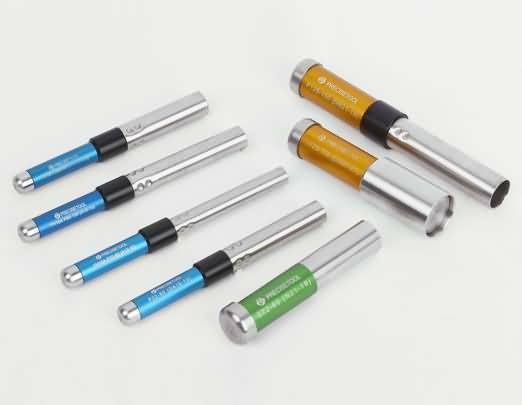 Pneumatic crimp tool is applied to the fields of new-energy vehicle,aerospace, aviation and so on,which achieves the cold crimping of wire and contact in electronic connector.Main cold crimping ways include four-indent eight-impression,twelve-impression,sixteen-impression,annular crimp etc.High efficiency pneumatic crimp tool,easy to operate,convenient to carry,durable to use,is suitable for batch processing of wire harness. 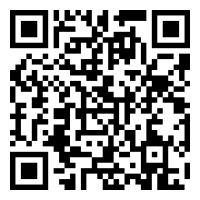 How to pick out the right crimp tool and the right accessories is a trouble to most of clients,for which we push out crimp tool kits according to different needs of customer to help clients figure out this problem.For example,the crimping of MIL standard series terminal,client can use the match crimp tool kit to crimp the terminal directly when he or she open the tool kit box . 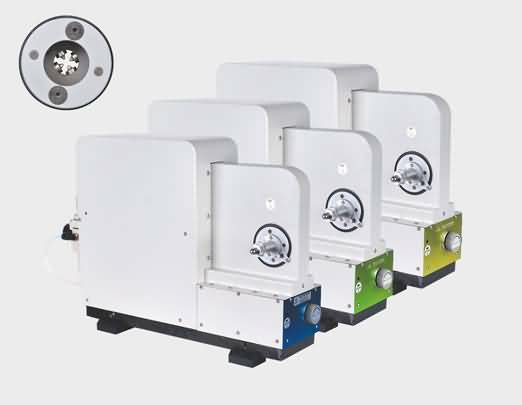 Pneumatic crimping machine is a new design of pure pneumatic crimping, mainly used in the new energy industry large size wires and contacts of cold crimping. 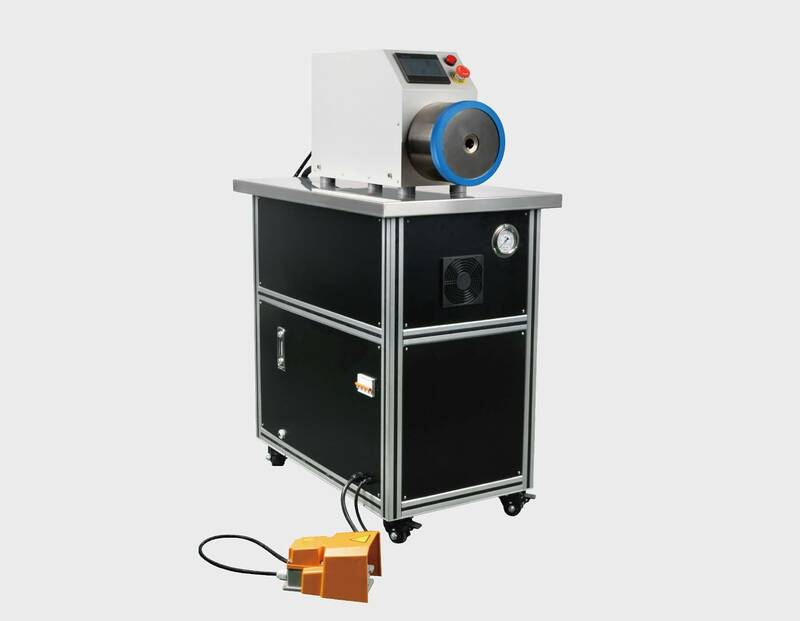 TS series are the main pneumatic crimping machine which can crimp the area of the wire from 3mm2 to 70mm2. It is easy to operate and be proficient, convenient and safe, and suitable for factory assembly line production. 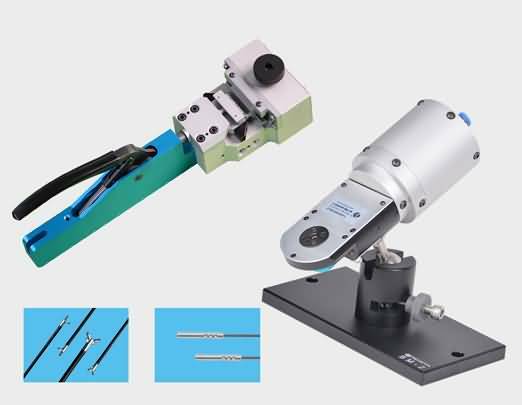 It specially designed for crimping of large size cable and used for cold crimping between large size cable（maximum up to 120mm² ） and contact in electrical connectors. 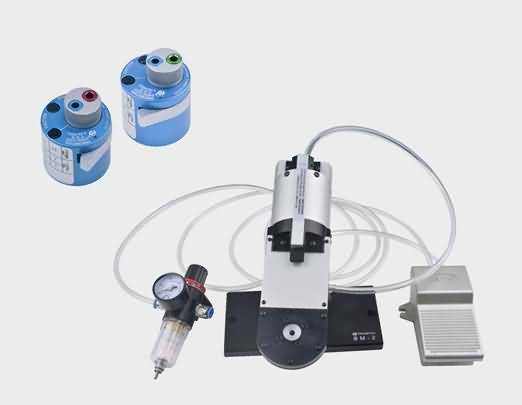 The servo hydraulic system is controlled by PLC, which generates stable output force, so as to complete the crimping of the terminal. 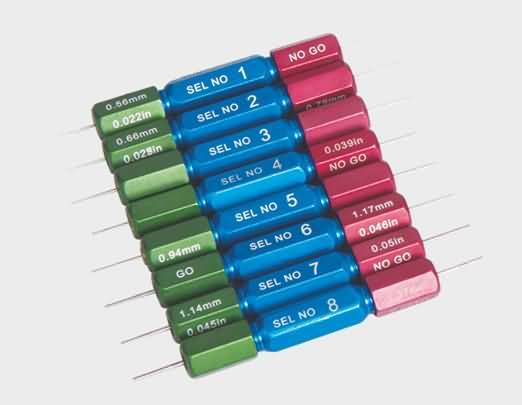 Replace different crimp dies can crimp different specifications of the large size cable. 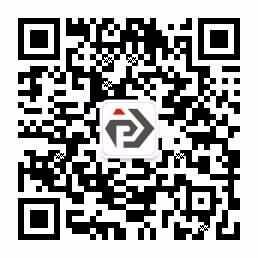 Committed to serving the wire harness processing industry, the company has set up a non-standard automation equipment research and development team to adapt to the industrial artificial intelligence development trend, developed a series of auxiliary products. 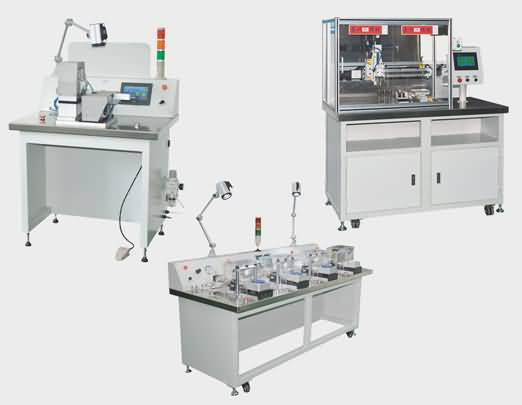 At present, the main products are terminal necking-in machine, terminal insertion force test machine, gas sealing test machine, etc., which greatly improve the production efficiency and save the cost of production. 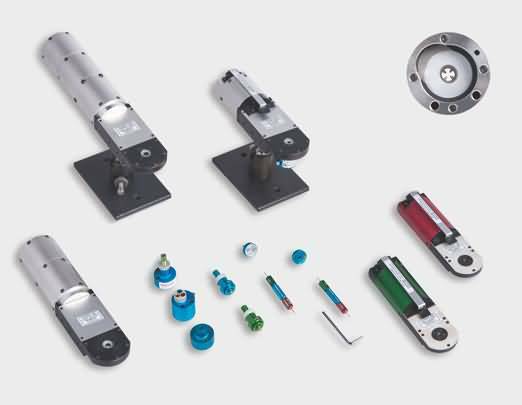 Special purpose crimp tools are developed specifically to meet the needs of industries and fields with special requirements for connection methods.Such as the crimping of biopsy forceps,snare,end cap of cytobrush in medical devices and the crimping of sheath,springwire socket and so on in electric connector. 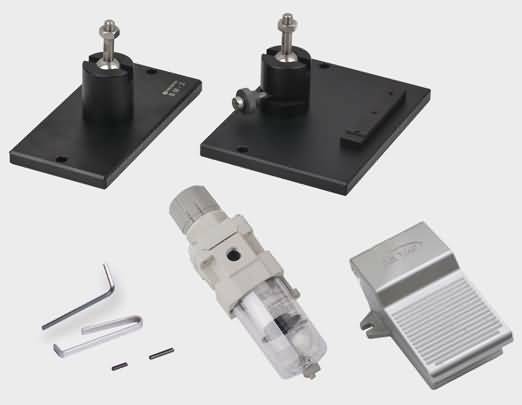 Positioner is the accessory of crimp tool,which ensure the right crimping position from axial direction and radial direction on the crimping process of contacts and make sure the consistency of crimping.Different contacts can select or customize different positioners according to different requirements,which can assure the crimping quality and working efficiency of crimp tool. Removal & Installing tools are used for removing special specification contact from connector and installing special specification contact into connector.Without these tools,contact may be damaged when it is removing and installing. 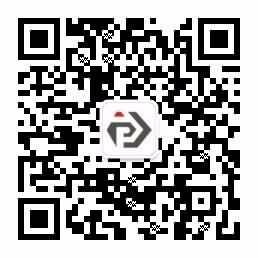 GO/NO-GO Gauge is applied to detect the damaged situation of crimping tool and different GO/NO-GO Gauge matches different selector of crimping tool.Keep the indents closed fully and insert the tool into the through hole of crimping tool. 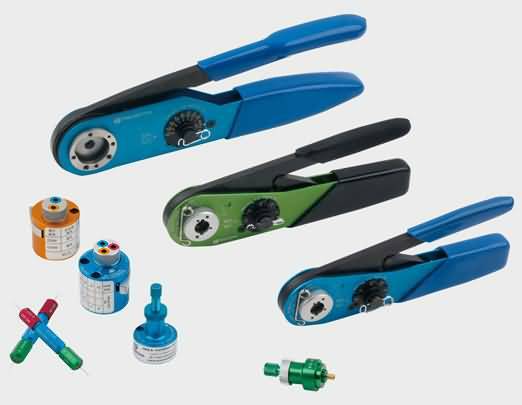 If the GO end（Green）can pass freely,but the NO-GO end（Red）can’t pass completely ,it means the crimp tool is qualified.It operates easily and it is indispensable for crimping tool. Crimp die have to use with crimp tool. 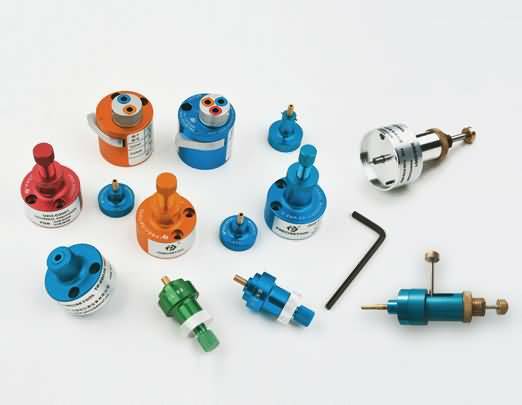 Its crimping form is parallel crimping and crimping types include hexagonal crimp,circular crimp etc. 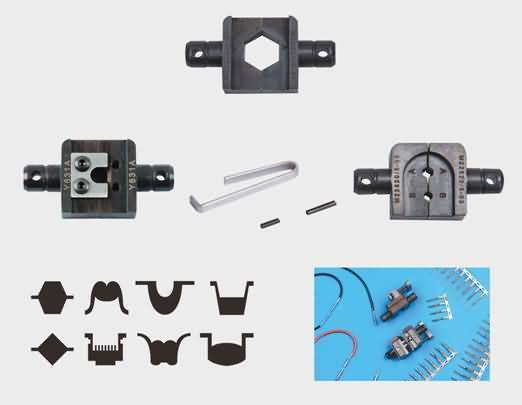 The contact of different specifications can be crimped by changing different crimp dies.You can choose the crimp die you need,or you can customize the crimp die with special specifications according to your needs. In order to maintain and use tools,equipment more conveniently,we provide standard accessories according to the usage requirements of tools and equipment.If you has special application requirements,we can choose the right accessories for you.Choose the right accessories can extend the life of tools and equipment and ensure its performance.